That summer we sailed her to Copenhagen Denmark, and a bit roundabout in Denmark. Just to get to know her well. 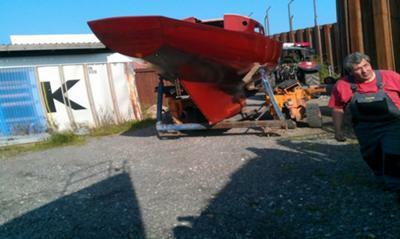 In the summer of 2010 we worked on her for 2 and a half month, but did not finish. We found a bit of rot, round the front window, on parts of the side/deck, and the whole back part. In summer of 2011 we have worked hard for 4 months, and still have not had time to look at the interior or the cockpit. We are using Linseed oil on the inside and COELAN on the outside. We are very happy with the Coelan product. We did not put any antislip on the deck, since the coelan is not that slippery. Using antislip is a dust magnet and would make the boat dirty constantly. 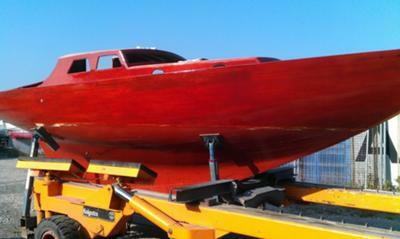 It is now 4 years since we covered the outside of the boat in coelan, and 2nd year in the water. 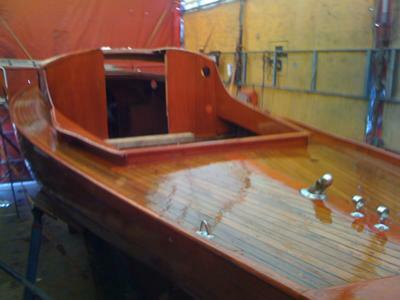 All looks as new, and deck, ruff sides watertight. Witch is the bittest bonus. 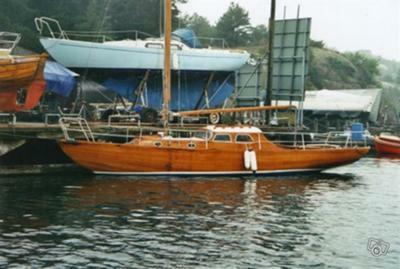 We own "La Mere" it is Build in 1964 in Gothenborg by TELFA ab. Our boat has number #240. Fine shape, very original, 3 owners. Well she is certainly looking good. I know that it is perhaps too early to tell but are you satisfied with the Coelan you have used on the outside? Where there any problems with using this product? I’m afraid that having been taken in by advertising hype in the past that I’m very wary of new any product that promises to be the ‘answer to all your problems’. And what have you used for non-slip on the decks?